On March 7th, 8th, and 9th, the theatre crew of South high school performed an amazing production of the Broadway musical Pippin. The spring musical is a tradition carried on at south for years, and is a great way for the community to welcome spring into the year. 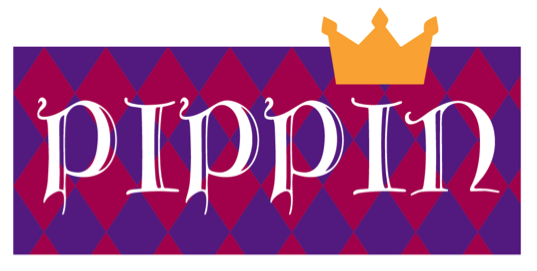 Written in 1972, Pippin is a Broadway production that has been shown and remastered several times. The show is about a young prince named Pippin who aspires to find passion and adventure in his life. He goes to war to prove his loyalty to his father, King Charles. Pippin eventually kills his father and takes the throne in order to fight tyranny. When Pippin realizes what he has done, he goes to a troupe of performers and begs them to bring his father back to life. When he meets a young widowed woman named Catherine, Pippin becomes conflicted in his decision to settle down and live a peaceful life or to continue making magic with the troupe performers. This show is a beautiful tale filled with love, magic, and amazing songs. With simple costumes and sets, lots was left to the audience’s imagination. This play was very interactive and imaginative which a lot of people seemed to enjoy. This simple costumes allowed people to focus more on what was actually happening rather than all of the decorations, which made the show much more interactive. “I loved how the sets weren’t very traditional and I was able to use my imagination” Bryn Cranswick, another audience member says. Everybody seemed to love the humorous and interactive aspects of the play. Even with the missed rehearsal days due to complications such as the teacher strike and snow days, the play still ran smoothly. “I don’t think I would change anything; because of the missed days, some of our number’s weren’t super clean but I think that just added to the feeling of the show.” Johnny Hultzapple, who played Pippin says. The plays that South’s theater crew puts on are always amazing;a very old tradition carried on by the theater program. With the help of Dr. Clare and the amazing cast and crew, South was able to out on yet another amazing show for the community. Giving everyone a night filled with love, laughs, and amazing musical numbers, these three nights were nothing but magical for the South High community.